Whew!!! The summer sun can drain the vigor, energy, and sometimes, even the good vibes. Good thing we have our favorite halo-halo (which means mixed together in English) to cool us down and bring back that much missed smile. I am so happy that this cooler has gone through terrific changes to improve the delicious Filipino experience. Casa Reyes has one of the best versions of our traditional halo-halo. What I like best about their halo-halo is the very fine and creamy ice it has, that’s almost similar to the consistency of a shake. 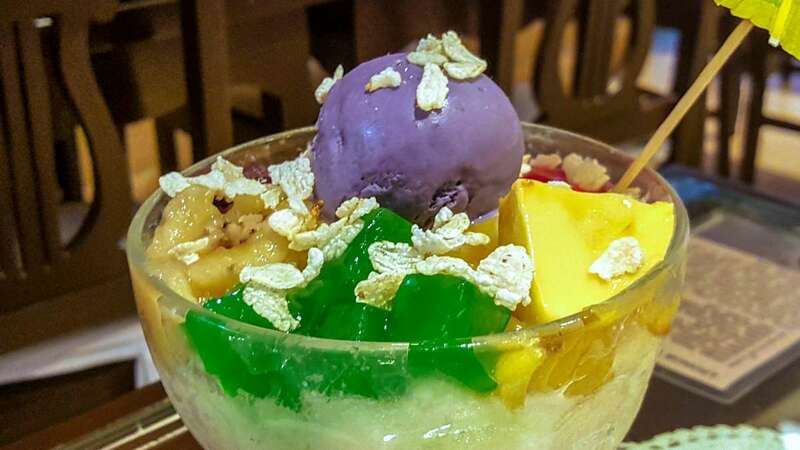 Shaved ice, milk, sweets, beans, jello, leche flan, ube, pinipig, boiled sweetened plantain (saging na saba), and ice cream on top are some of the ingredients of this Filipino dessert that are supposed to be mixed together when served. But Casa Reyes is not just about their halo-halo. It’s a restaurant serving excellent traditional and modern Filipino cuisine. 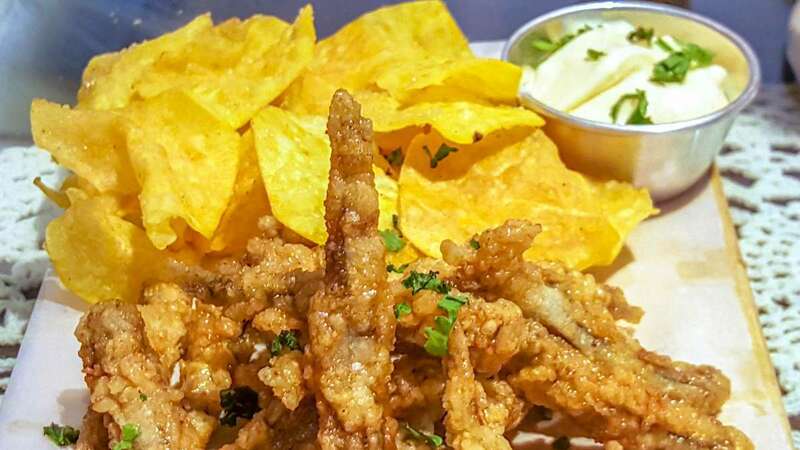 Before having the frozen dessert, you can try their Pinoy Fish And Chips for your appetizer. That’s sweet and spicy dilis (anchovies) and sweet potato chips. And you can order their version of Pork Belly Adobo. It’s like a deconstructed adobo. 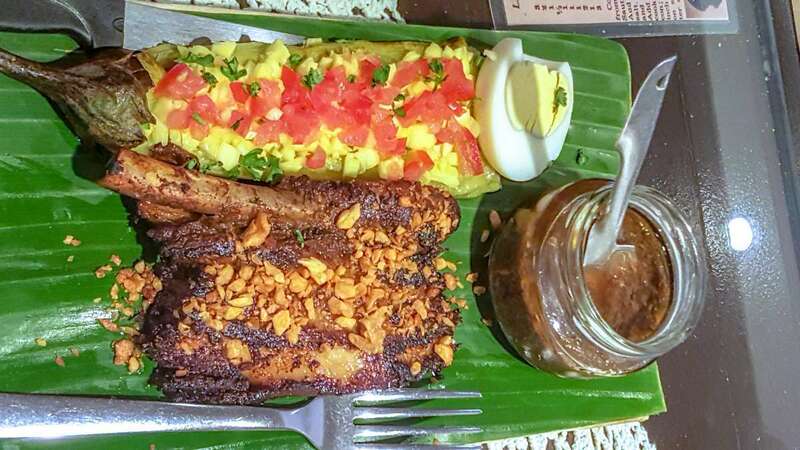 The very tender, tasty, garlicky, and savory pork belly is served separate from the adobo sauce. There’s an egg on the side. This is also served with eggplant topped with green mango salsa. 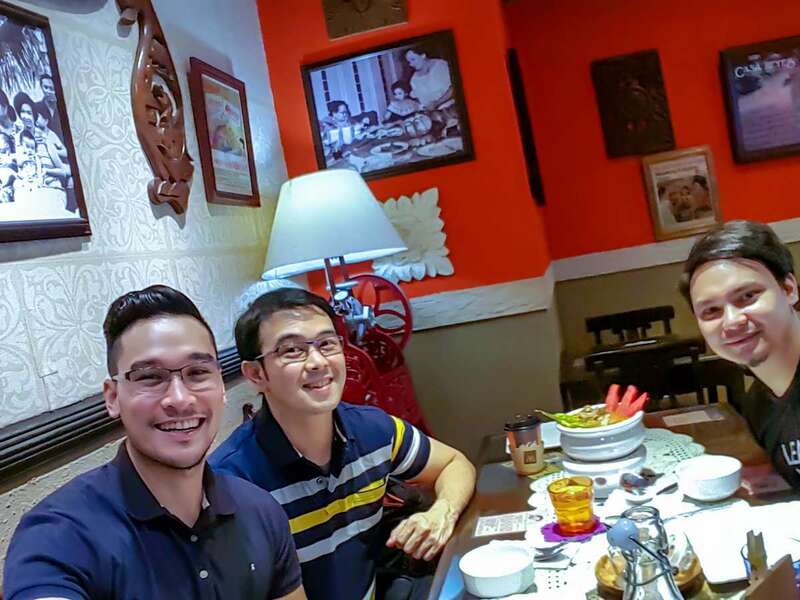 Their sinigang has a twist. It has watermelon. 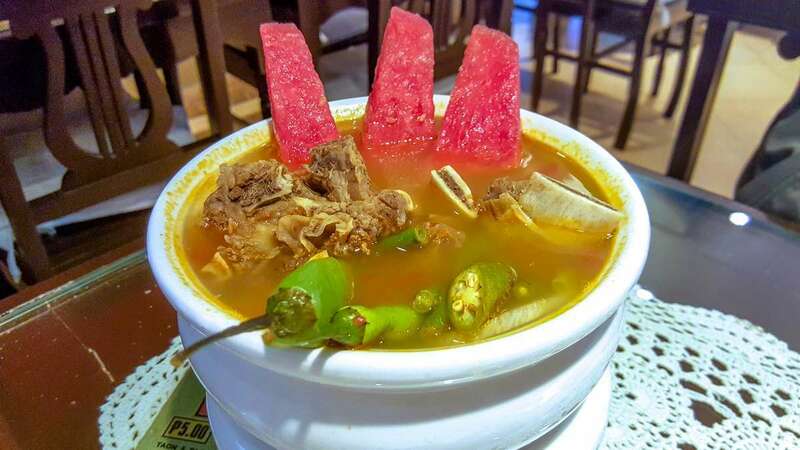 It’s still the sour sinigang Filipinos love, with a subtle refreshing watermelony taste and real watermelon slices. Pinoys love rice. 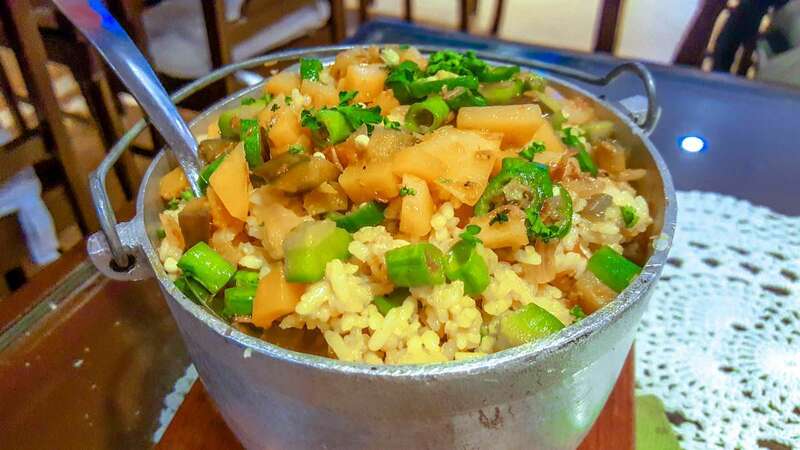 Casa Reyes elevated that rice-eating experience with their Pinakbet Rice, a meal on its own. It’s rice mixed with pinakbet, a dish made with stir-fried meat, vegetables, stock, and fermented fish or shrimp paste. Read my previous Casa Reyes article, click here.